After analyzing hundreds of Amazon reviews, we’ve chosen some of the best ukulele books and instructional DVDs on the market. If you’re brand new to playing the ukulele, the odds are that you’re ready to improve your skills, but where do you begin? Lessons, plus a well-structured lesson plan can help you increase your skill and knowledge, and so can instructional books and DVDs. They are simple to follow, and are among the best tools for familiarizing yourself with your new ukulele. Thanks to the internet, there is loads of information available on a variety of instruments, including the ukulele. Rather than wasting time sifting through this virtual mountain of data, it’s best to find a few solid resources, such as books or DVDs, to give you the information you need to know. This comprehensive guide to playing the ukulele is available in paperback and e-book editions. Designed with beginners in mind, it includes a number of songs to play as you learn. 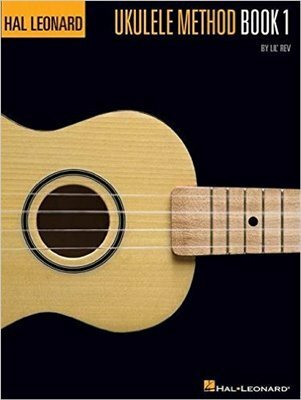 This book covers all the basics, from how to hold your ukulele correctly, to how to tune it and start reading music. Additionally, the book provides basics for plucking and strumming melodies and chords, beginning with just a few notes and gradually progressing to more complicated ones. A CD or online audio files are included, so you can hear and play along with the songs in the book. The songs in the book are incredibly simple, perfect for beginners. The book gradually builds the learner up, with songs that are chosen to be playable. Good book and a great place to start. The exercises are clear and well-laid out. Each one builds upon previous lessons. 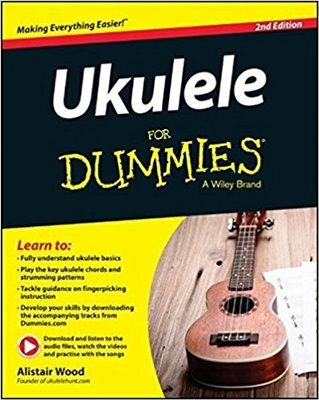 The “For Dummies” series tends to offer useful, useable information, and this ukulele instructional book definitely meets those expectations. Easily one of the best on the market, it begins with basics, teaches you how to play chords and learn strumming patterns, and develop your skills even more with accompanying audio tracks that are available online. Clear instructions that start with tips for buying a good ukulele and then moving on with different playing styles make Ukulele for Dummies a hit. This book has everything: chords, strumming, tab, notes, songs, styles, and above all else, humor. Ukuleles for Dummies explains everything clearly, ideal for anyone starting from scratch. Despite the title, the book is not dumbed down or condescending. 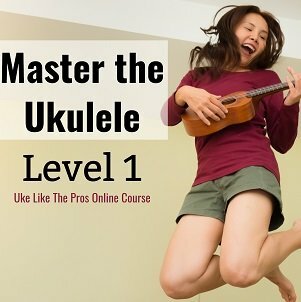 Great for beginners, intermediate, and expert players alike, with nuggets of musical and ukulele facts and ideas to help you improve. 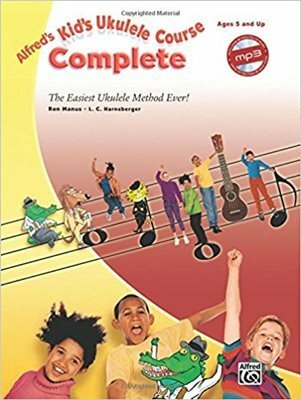 If you are looking for a kids’ ukulele instructional book, Alfred’s Kid’s Ukulele Course is one that’s well worth considering. This book includes levels one and two, plus in features activity pages to enhance learning. An accompanying online audio course helps students learn how the music should sound. Besides plain, easy-to-understand language, this book includes three unique instructors: a cool jazz cat, a blues-loving alligator, and a classical dog. These animals make learning fun while pointing out what’s most important. This book offers an integrated approach, and it clearly illustrates positions and finger numbers. The method is excellent for kids, and it’s great for adults who are just starting out with music. Our 8-year old daughter is enjoying the course and is using it to teach herself ukulele. Easy for all ages to follow and understand. 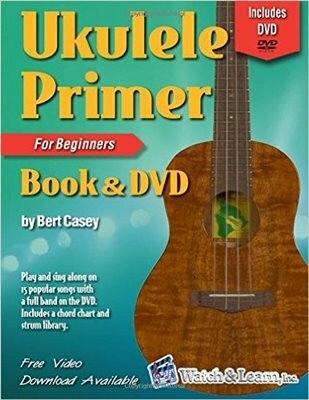 With an accompanying DVD, The Ukulele Primer Book for Beginners by Bert Casey is designed to help beginners learn to play their ukuleles. The course begins with basic lessons beginning with the parts of the ukulele, tuning, hand positioning, and basic strumming. Easy chords and strum patterns are incorporated into songs, providing beginners with motivation to keep on playing. The DVD is 86 minutes long, and covers all the techniques and songs included in the book. It uses split screens, so viewers can see the music and the instructors hands. This is a great combo, and a good way to get started playing the ukulele. The instructor is an expert but his approach to teaching beginners is gentle and effective. The whole course is well-organized. If you’re using the DVD, you will probably want to pause and practice, so keep the remote nearby. If you stick with it you’ll be playing and enjoying the ukulele quickly, plus you will have a good based for learning more tunes, along with tools to make them your own. Great ukulele reference book, especially for beginners. If you’re a visual learner, you will appreciate this method. 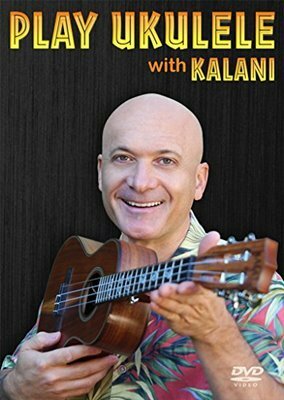 Play Ukulele with Kalani is a great program for complete beginners or those who have a little bit of experience playing and are ready to move on to the next level. The DVD begins with an explanation of different parts of the ukulele, parts of the ukulele, and a quick explanation of different types of ukulele cases. It goes on to show how to tune and hold the instrument before moving on to chords and chord progressions. Great quality, with closeups of the chords from an angle that lets you see how to form them. Excellent for every beginner, including kids, adults, and seniors. Clear, precise instructions, with a kind, patient, and caring attitude. Easy to follow along and concentrate. There are no distractions, just good instruction. 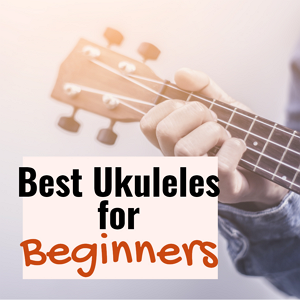 Beginner Friendly– If you’re new to any instrument, including the ukulele, then it pays off to start at the very beginning with books and DVDs that start with the basics and build on those. Specific Songs are Included– While general information on the ukulele is fine, it’s important that you learn to play some familiar songs. It is rewarding to play a song from beginning to end, and playing simple songs will motivate you to take on more and more complicated ones as your studies progress. Sound Educational Information– It’s crucial that you understand how your ukulele works, and how to get the most from your instrument. Conversational and Pleasant to Read or Watch– Many of the instructional ukulele books and DVDs available are a bit dry, and this can lead to boredom. Finding user-friendly learning resources is among the keys to understanding and digesting musical knowledge.